The Pittsburgh G-20 Summit held in the fall of 2009 was an important event that gathered world leaders into one location to discuss international economic cooperation. This event was notable for many reasons, one of which was that it was designated as a National Special Security event, not only because of the leaders in attendance, but also because of the amount of protesters expected during the week of the Summit. Security was managed by the National Secret Service, and hundreds of security personnel from police, Army and Coast Guard units were called in to work the event. 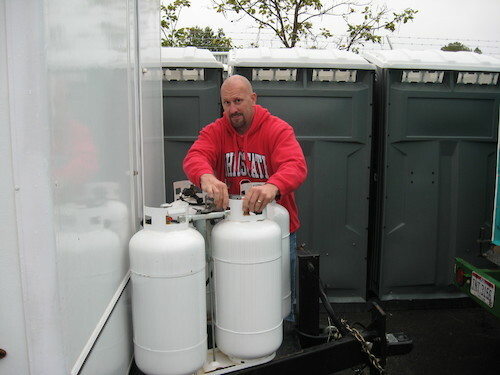 Shower Trailer coordinated with the organizers to set up our large restroom and shower trailers in eight different sites across Pennsylvania to meet the needs of these brave men and women. 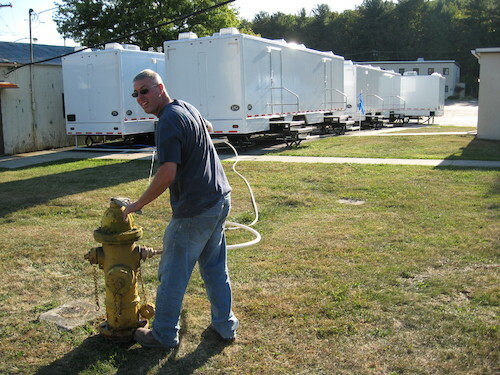 We serviced every unit at each site every day, keeping the units clean, pumping sewage tanks and providing overall maintenance. We are proud to have served at the G-20 Summit in this way. Browse some of our photos below to see more! 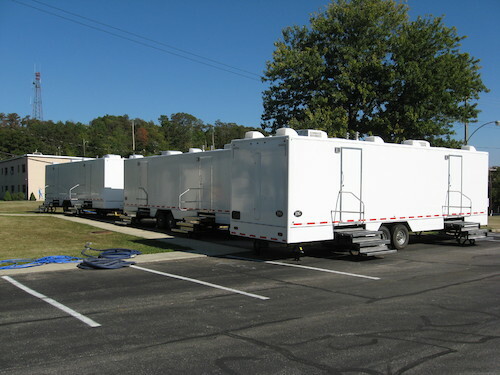 To coordinate services for your own large-scale or multi-venue event, contact us for more information or Chat with one of our agents right now.